Unknown flying object observed from Otočec, Slovenia looking into night sky direction Novo mesto. Objects appeared about 60 degrees elevation, S, SW of the sky. Several objects seen by my friend standing beside flying in constellation, fast moving descending, slight change of direction. It appeared triangular shape with lights in the center and every corner. Seemed as enormous size and rapidly disappeared from the sky flying direction SW. Few seconds later there was a metorite like object just falling from the sky from same direction and just descending. I speak about similar thematics with my friend and he seems like never taking it seriously, but also not denying or calling me paranoid. Though this time he was standing with me while it happened and observed the objects with me. He’s first reaction was “If You’d tell me about this, I’d ask you what have you been drinking”, but now I’ve seen it with my own eyes. NOTE: The above image is CGI. 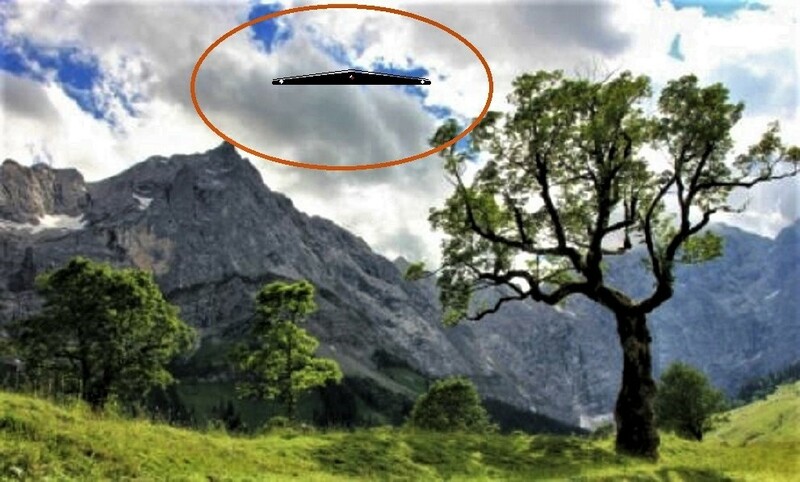 This entry was posted in ABDUCTION, best ufo photos, incredible ufo photos, MISSING TIME, top ufo news, UFO, UFO ARTICLES, ufo news, ufo photos, Uncategorized and tagged 2018 OTOCEC SLOVENIA UFO TRIANGLE, 9-27-18 OTOCEC SLOVENIA UFO TRIANGLE, ABDUCTION, ALIEN CRAFT, ALIEN CRAFT LANDING, ALIEN CRAFT PHOTO, ALIEN ENTITY, ALIEN IMAGE, ALIEN IMPLANTS, ALIEN PHOTO, ALIEN PICTURE, AMAZING UFO PHOTO, BEST UFO PHOTO, best ufo photos, CAMERA CAPTURE UFO, CIRCLE LIGHTS UFO, close encounter, CLOSE ENCOUNTER UFO PHOTO, DISC, FLYING SAUCER, HIGH STRANGENESS, HUMANOID, incredible ufo photos, KEN PFEIFER UFOLOGIST, light photo, MISSING TIME, saucer, SEPTEMBER 27, SPACESHIP UFO, top ufo news, ufo, UFO ARTICLES, UFO LANDINGS, ufo news, ufo photos, Uncategorized | Tagged ABDUCTION by KEN PFEIFER. Bookmark the permalink.